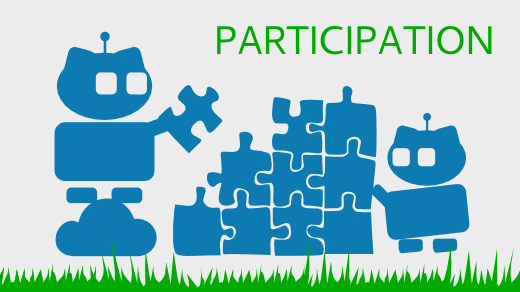 Attracting new contributors and making projects accessible to newcomers is an important issue to many open source organizations. I will describe my experiences becoming a new contributor to open source. I hope that this will be useful to 1) people trying to improve the open source newcomer experience and 2) people who have never worked on open source and are interested in becoming contributors. DISCLAIMER: THIS INFORMATION IS EXTREMELY OUT OF DATE. 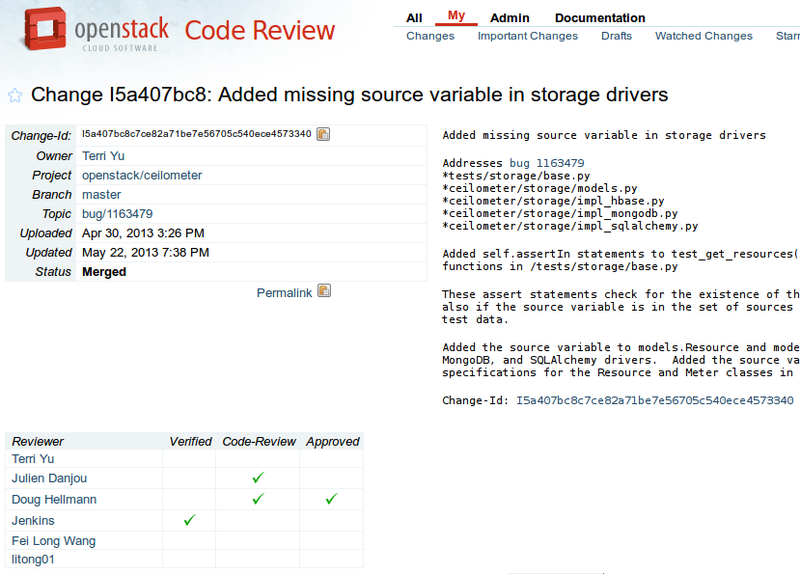 Ceilometer is a fairly new component of OpenStack, so I thought it would be helpful to document how I install Ceilometer and DevStack. Ceilometer monitors and gathers data on other components in OpenStack. For example, one could use Ceilometer to measure CPU usage in order to bill customers. In this post, I'll go through how I install Devstack and Ceilometer on a Vagrant virtual machine running 64-bit Ubuntu 12.04 LTS. Your host machine should have enough memory, so that it can run a virtual machine with 2 GB RAM. DISCLAIMER: This information may be out-of-date. This post was written using Pelican version 3.2 and the themes and plugins in July 2013. However, last I checked (August 2015), almost everything still works. My machine is running Ubuntu 12.04 LTS. Today is the first day of my internship in the Outreach Program for Women1 (OPW). 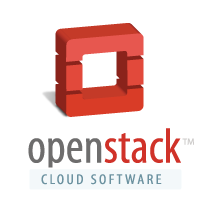 I'll be working on the Ceilometer component of the OpenStack cloud computing project under the guidance of my mentor, Julien Danjou, who is the project technical lead of Ceilometer. I'm also supported by two more mentors, Anita Kuno and Julie Pichon. Anne Gentle is the coordinator of OpenStack's OPW internship program, and Marina Zhurakhinskaya and Karen Sandler are the coordinators of the entire Outreach Program for Women. I'm grateful to them all. When I was setting up this blog, I initially started with Wordpress, but then I discovered that many (tech-savvy) people were using static site generators. It took me some time to understand what that meant. Most of the common blogging platforms generate websites dynamically. Wordpress requires SQL to manage a database containing your blog content. When someone loads your blog URL, Wordpress generates the requested webpage. Wordpress must be installed on your webhost/server for this to work. The idea behind static site generators is to have software on your local machine that creates webpages and then upload these pages to the webhost. The webpages have fixed content, hence the description "static site." You don't need to install anything on the webhost. This past weekend, I participated in Hack for Western Mass as part of the National Day of Civic Hacking.1 This was my first hackathon and initially I was skeptical that you could accomplish much of anything with strangers during a weekend. But I turned out be wrong. This is a new blog I’ve started for my work-related activities — which currently include software development, open source software, and data science.